Course include all required fruit and vegetable carving set (7 chisel), carving knife 1 piece – will cover (15 – 20) plate and platter garnishes (carrot, beetroot, tomato, lime, cucumber and spring onion) and 4 center piece (carving) made out of watermelon and pumpkin. 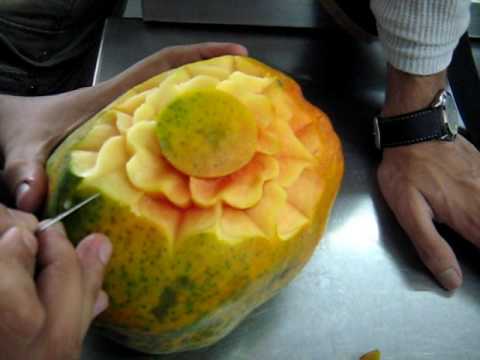 8 complicated Thai fruit carving design on big size fruit and vegetable & 5 pumpkin flowers. 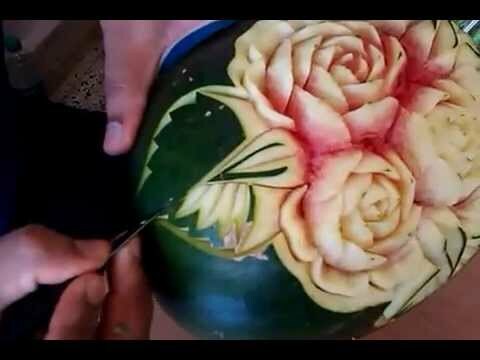 7 complicated Thai fruit carving design on big size fruit and vegetable. Plus garnish.